When a young woman named Moss tracks down a man called Michael Finbar Clancy in a small Australian country town called Opportunity, she can have no idea that she will set off a chain of events which will have lasting impact on both of them, their friends, and the town. Moss had an unusual conception and a difficult childhood. Miranda Sinclair, known as Moss, is the now grown daughter of a lesbian couple. She grew up as the loved child of two very different women. Amy was the fun, natural mother who didn't worry about mess and structure. Linsey was the more rigid woman who tried to make a perfect baby by selecting the most suitable candidate as the sperm donor (which is where Michael came into the picture) and whose high expectations left Moss feeling inadequate and insecure. She was also the object of bullying during her school years as kids realised that she did come from an unusual family. When she finds out the circumstances of her birth, she is further alienated from one of her mothers, which leads her to go looking for the father she has never known. The man who used to be known as Michael Finbar Clancy has lives in the tiny town of Opportunity for many years, having escaped there after being traumatised following a car accident. Finn, as he now prefers to be called, was a respected mathematician but now he lives a quiet life where he has just enough money, just enough work and just enough friends to keep him almost content. He certainly has no room in his life for strangers who turn up on his doorstep in the middle of a rainstorm, let alone for the girl who was the product of a business transaction so many years before. Each of the characters need to come to terms with their pasts, in order to allow for a better futures, but they all have quite an emotional journey. The book deals with some big issues: death, identity, guilt, loss but it also is charming and fun. To be honest, I was really surprised by how much I enjoyed this author's debut novel. Whilst it has been out for a few years now, I don't recall hearing that much about it. The only reason why I read it now is that it is our bookclub book this month. Even then, we were supposed to be reading a different book but this one was given as a replacement at the last minute. It may just be that this was the perfect time for me to read this book, but it worked for me big time. There were times where I wasn't exactly sure where the various plot lines were going to go, especially as we learned the back story of each of the characters and then to see how all those various threads would be bought together for the ending. I have already requested the author's next book from the library, and I can't wait to read it. If it is a enjoyable as this one was I will be one happy reader! 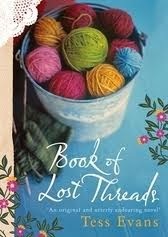 Tender, funny and memorable, Book of Lost Threads is a story about love and loss, parents and children, hope, faith and the value of simple kindness. 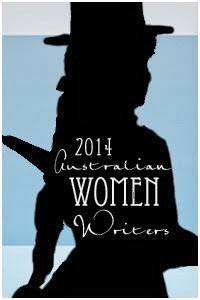 Moss has run away from Melbourne to Opportunity on the trail of a man she knows only by name. But her arrival sets in train events that disturb the long-held secrets of three of the town' s inhabitants: Finn, a brilliant mathematician, who has become a recluse; Lily Pargetter, eighty-three-year-old knitter of tea cosies; and Sandy, the town buffoon, who dreams of a Great Galah. Unusual plot with lots of possibilities. I have this on my list of books to find and read! I like the major themes/issues in this. I'll have to see if my library has it. I really like the sound of that book Marg - and the cover. Thanks for sharing.